Bill Henson is one of Australia's foremost contemporary artists. He is well regarded internationally: his work was shown at the 46th Venice Biennale 1995, and has been exhibited in New York, Los Angeles, Salzburg and Paris as well as extensively throughout Australia. Henson's first solo exhibition was at the National Gallery of Victoria in 1975, when he was 19. His work has been included in important survey shows such as 'Passages de l'Image', Centre Georges Pompidou, Paris, 1990; and 'Photography is dead! Long live photography! ', Museum of Contemporary Art, Sydney, 1996. Most recently, Henson's work has been shown in 'The promise of photography: selections from the DG Bank collection' P.S.1 Contemporary Art Center, New York, 1999;'Strangers: the first ICP triennale of photography & video', ICP, New York, 2003; 'Ghost in the shell: photography and the human soul 1850-2000' at Los Angeles County Museum of Art, 1999; and 'Biennale of Sydney', 2000 at the Museum of Contemporary Art, Sydney. 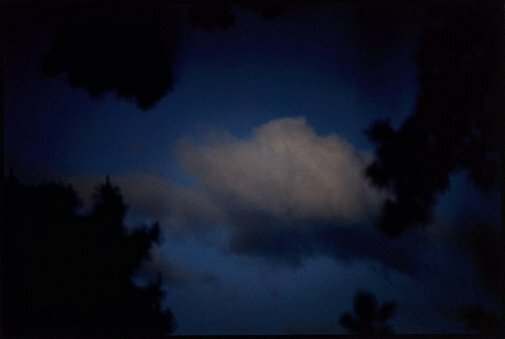 'Untitled 2005/2006' continue Henson's motifs of landscapes, skies and the body but with a greater proximity to the subject. The body especially is depicted as almost protruding from the picture plane and having a weight which causes it to sink into the ground. Sequences are an important part of Henson's work, creating a dialogue between the images and enhancing both the meaning and effect. An image that is hard to discern singularly becomes more readable as part of a sequence, while at the same time the whole sequence seems to become more ethereal and requiring of an emotional response. Signed and dated l.r sheet, black pen "... 2005/06 Bill Henson". Judy Annear, Look , 'Bill Henson cloud landscapes', pg.16-18, Sydney, Jun 2013, 16 (colour illus. ).